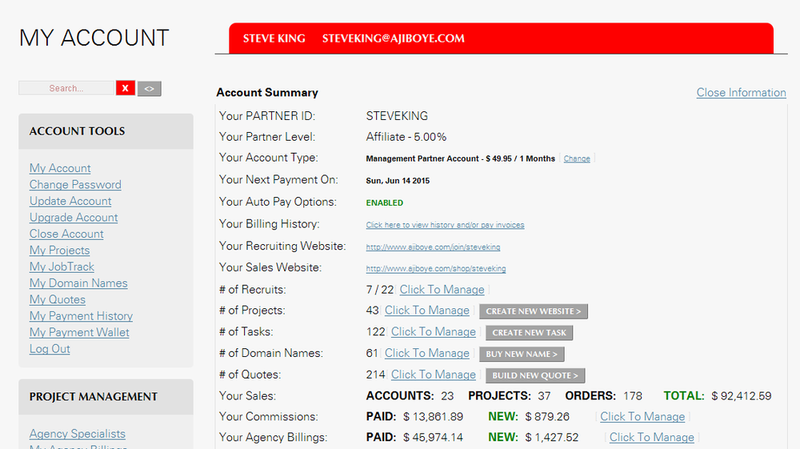 Your Partner Account The Tools & Services in your AJIBOYE Monkey Business Agency Partner Account. In the Management Partner Program, you are the captain of your enterprise. Login to create quotes, do work, log time, track income, manage your salesforce, get paid and more. Information you need to get the most out of your membership in AJIBOYE Monkey Business Agency's Management Partner Program. Partner & Profit to build your business.